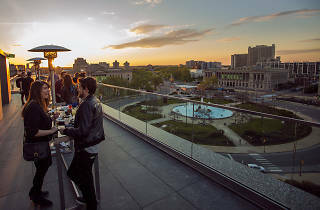 You’ll feel all kinds of fabulous at the Assembly balcony bar, which, like the Logan Hotel that it’s located on top of, is decorated with sophistication in mind and sports an air of exclusivity. 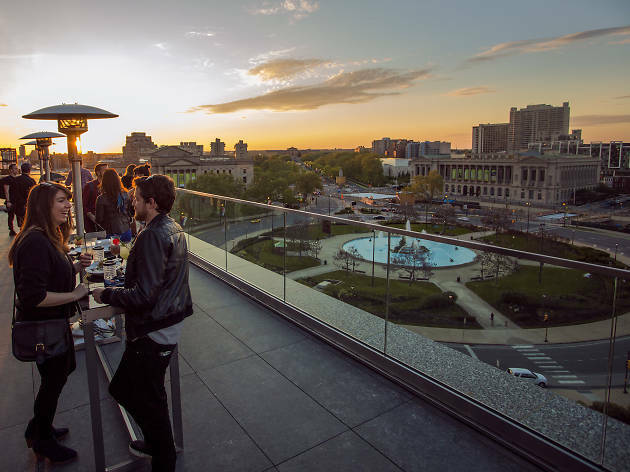 Cozy, semi-circular booths surround beautiful fire pits and create perfect little nooks for conversation as you look out over the Benjamin Franklin Parkway. The menu features refreshing cocktails such as an Eternal Springtime, concocted with locally distilled Stateside vodka and a combo of St. Germaine and rhubarb.